← Infographic: Which Movie Werewolves Can Be Killed with Silver? Throughout my first 27 years, I never really considered myself a cinephile. I watched a decent amount of movies but I don’t think it was any different from the average person. Sometime around the age of 27, I started hanging out a lot with Joe, one of my great friends from college. This is my same friend who, upon meeting Kevin Meaney, told him “I really loved your work in Uncle Buck: The Series”. Joe loves movies. And thus began what’s been a fun eight year journey. 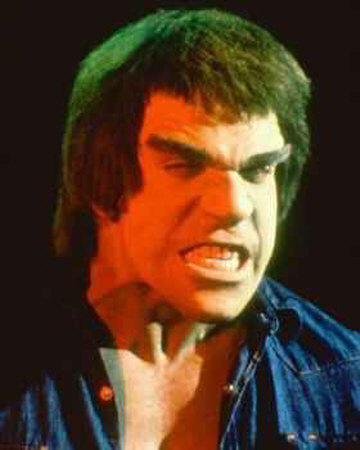 Joe bears an odd resemblance to Lou Ferrigno. Hanging out with Joe sparked an interest in movies for me. In no time, I was going to the theater weekly. I was gobbling up his DVD collection. I signed up for The Hollywood Stock Exchange. Two years later, I started a new job working with Ryan, who is now another great friend. As it turns out, Ryan is a filmmaker who just missed USC Film School, and even then only because of circumstances outside of his control. Tying it all together was my friend Marty, whose own thirst for movie-watching mirrored (and frankly, surpassed) my own. This further opened up the cinematic pandora’s box for me. The AFI Top 100 became a target. Then foreign directors became a target. Within years, it had spun completely out of control and I was a junkie, desperately seeking out my next fix. On the surface, this doesn’t really sound like a bad thing. Within a matter of years, I’d acclimated myself to genres, sub-genres, directors, countries, and film movements. It’s been a blast learning about this whole new world. But now, it seems, I have hit a snag. I have become a film glutton. At times, it’s just as much about the pursuit as it has the enjoyment. Odd things started to happen. When you watch a high volume of films, whatever you’ve learned watching previous films gets pushed aside. Half the time, I have to go to Netflix to verify whether or not I’ve seen a film that I think I may have seen. Recall and retention is getting obliterated. Films that were in theaters just five years ago seem distant. A prime example- I know for a fact that I saw Pulse (2006), the re-make of the Japanese horror film. I saw it in 2006. I don’t remember a damned thing about it. It’s just another movie, part of a colossal pastiche of forgettable films, many which deserve a much better fate. I understand that this isn’t the best example. After all, Pulse was a real dud and I’m not really sure who would remember a lot about it. But it’s one of countless examples. 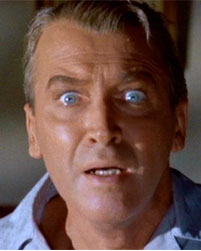 My Hitchcock confession is enough to give Jimmy Stewart vertigo. Other than ten or so Hitchcock movies, many of them blur together. I understand the major themes of Hitchcock but it’s more a form-fitted ball of Freudian mush for me than it is a defined list of a masterful director’s works. Not even two years ago, I watched a Thai horror called Dorm (2006). I gave it five stars on Netflix, but don’t ask me what it was about because I really can’t recall. Just over two years ago, I gave John Huston’s We Were Strangers (1949) 4 out of 5 stars on Netflix. It took place in revolutionary Cuba. I haven’t the foggiest idea why I gave it 4 stars. All of this has me wondering if a slower pace is where it’s at. Perhaps marching through 10 films a week isn’t the best idea. Rather than trying to cram as many movies as I can into my existence, maybe I’m better off slowing down to savor what I’m watching. But therein lies the problem. I’m not sure a junkie can slow down. Someone who is truly an alcoholic can’t have “just one beer”. I doubt I could take a break or slow down. There are still far too many genres to check out. “You know”, I found myself thinking the other day, “I don’t think I’ve ever seen a movie from Africa”. Or, “I really need to check out the work of Otto Preminger one of these days”. It is a bottomless pit. Sounds very familiar! Once I started blogging about movies the number of them I watched skyrocketed, I’m not at 10 a week though (although I’m sure it would if I was younger and single), but almost watch a movie a day. The hunger you mention is recognisable and the list of movies I still want to see keeps growing. There are moments that I thought about watching less, but doing it doesn’t happen. There are several movies which I saw last year that I don’t remember either. What’s the addiction thing? The first step to recovery is admitting you have a problem? I’d never heard “Nollywood”, ever, until yesterday. And now I’ve heard it twice in 24 hours. The used to be (still is?) a dedicated TV channel in the UK called (I think) Nollywood TV. You had to pay extra for it though, so I didn’t see any of it. I average about three or four films a week and sometimes that’s too much for me. I could never imagine doing ten a week. I get by knowing that I’ll never see everything I want to see – this includes new stuff as well as old stuff – and if I don’t see something now, I give it time. Admittedly, some of those ten are throw-aways. This past weekend, I saw “Tales from the Darkside” (the movie) and didn’t expect to retain a ton from it. The one way that I’ve tried to slow everything down is by doing re-watches (ergo the Re-Watchterpiece Theater feature). It’s a chance to dig deeper, “savor” a film more, and get much more from it. I’m at 4 to 5 a week and have similar problems. Netflix and movie podcasts put me over the edge. I don’t think slowing down would increase my memory capacity. I got to see ‘The Big Sleep’ in the theater a few weeks ago and even though I had seen a few years earlier, I didn’t remember any of it. I do enter every movie I see into a spreadsheet which eliminates any problems of re-watching something on accident. Yea, you now need to see Laura and Anatomy of a Murder. I’ve definitely got “Anatomy of a Murder”, which is one I did just a few months ago (fortunately putting it in the realm of memorability). I like the spreadsheet idea. I essentially use Netflix in that role but it’s not very reliable. So how do you pick your 10 movies/week? Is it completely random? I’ve got a mix of new releases and films I’ve recently heard about. I also try to pick a theme and watch a higher concentration of those films. Currently I’m attempting to see more Film Noirs. I also have very strict seasonal patterns, which I plan on writing about another time. I’m pretty sure you’ve lapped me a couple of times in terms of film gluttony. I think in my old age, I have come up with a few rules for what to pay to see. 1. If it is a remake of a movie from the 80s or later, skip it. Just like hip hop/rap stopped progressing the art form and relying on hooks from past music, the film industry has done the same. Was Nightmare on Elm Street improved the second time around? 2. Among Summer blockbusters, try to avoid movies starring Shea Lebouf. It’s a good rule of thumb. I am, however, a sucker for Marvel superhero movies. I’m okay with sequels provided that it progresses the story. Pirates of the Carribean and Transformers sequels didn’t really do that. Harry Potter did. 3. I always try to see everything nominated for Best Picture. At the very least it gives you a good sample of the year’s best. 4. Ask yourself, will anybody remember this movie six months from now. If not, save yourself the money and time. There are a lot of horror movies that have started to fill up this category–i.e. Pulse. Those are all good rules to follow. Especially #2. I’m safe on that one without a doubt. Interesting post. I’ve run into the same issues where I’m watching lots of movies because there’s so many to see but haven’t always taken the time to enjoy them. In a weird way, starting a blog has actually made me think more about each movie and remember it better. I’m not just passing time in many cases. I’m watching movies for the blog, so I pass more attention and think about them in a different way. It’s not a perfect system but is an improvement. Also, I’m going to the theater less because we have a young daughter. This is tough as I miss a lot of great movies, but it does really make you appreciate the chances to visit the theater to see a movie. I can imagine you’re already counting down the days you can take your daughter to good movies. You raise a great point re: writing about movies. It makes you watch them in a different way. It’s a good thing, really, because you really do savor them the way they should be savored. I do this sometimes, though admittedly a lot of time time it’s for a “Don’t Watch It, John!”, so I’m watching some horrible movie intently, which kind of defeats the purpose. I keep a list of all the movies I have seen. Whenever I am looking at it, I see tons of titles that make me wonder, “What the hell is that?” Sometimes, after I look it up, I still have no memory of it. But guess what. It probably sucked. You can’t keep actual memories of every moment of every movie, even the best ones, but I find it really rare to give a movie five stars on Netflix and forget it. Maybe you accidentally gave it five? I am often coming across rated movies on Netflix that I know for a fact I haven’t seen. Ghosts? Naughty elves? Go with rating things on imdb. They never change, and they have ALL movies, not just some. I would imagine one issue with forgetability of 4 and 5 star movies in some cases is the genre. I grade horror and comedy on a greatly diminished scale. I doubt that’s the best approach, but I find that it’s more in tune with my personal tastes anyway. A high score means I want more like it in a lot of cases. There are quite a few movies I can’t remember, especially THE BICYCLE THIEF, which I only saw eight months ago. I’m slowing down my pace, too. 6 out of every 10 movies I watch is a rewatch of a previous movie; that way, I don’t forget about them because I’ve seen them more than once. But this is a difficult trend to keep up. I wish you luck. That Mojo pic had me in stitches, BTW. Yes! Success with Mojo! I was giggling putting him in place. Mojo is always good for a laugh. For what it’s worth, “The Bicycle Thief” is one that I really struggled with. As much as I appreciate Italian neo-realism, it doesn’t pop for me the way a lot of other film genres do. I don’t think I’ve ever walked away from an Italian neo-realist film and said “I can’t wait to watch more”. It’s a lot like trying to get a car to turn over when it’s stalling. I keep waiting for the neo-realist film that makes me say “This is a great genre”. Honestly, I could say that about a lot of Italian cinema. I wish I liked it more than I did. Purely from an enjoyment standpoint, it takes a big backseat behind French, Japanese, Swedish, maybe even American and German films. Yeah, the Italian movies never really clicked for me. I saw UMBERTO D just the other week and really, really liked it a lot but I don’t think I’ll be watching it again too soon. I’m currently on a very furious Luis Bunuel binge, thanks to you. I’m watching ALL of his movies from 1960 to his death as that is the main period that interests me, although I’m struggling to find copies of SIMON OF THE DESERT and THE PHANTOM OF LIBERTY, which is annoying. Didn’t like THE EXTERMINATING ANGEL as much as I thought I would, but BELLE DE JOUR and DISCREET CHARM were both absolute wins in my book. Oops, forgive me for rambling. YES!!! It always makes me happy to hear that people are enjoying Bunuel. Both “Simon” and “Phantom of Liberty” are Criterion selections… which probably does you no good in your part of the world but it does give you hope that they’re out there to be found. I love love love Phantom. It makes me an oddity because of his three late career surrealist films- Phantom, Discreet Charm, and The Milky Way- Discreet Charm seems to be his critical masterpiece. And I loved it. But Phantom is easily my fave of the two. It’s my third favorite of all time, behind Fire Within and Winter Light. I love the chaos of no linear plot. Third favourite of all time? Okay, now I’ve GOT to see it. Will get back to you when/if I find it somewhere. I haven’t seen those two particular Lynch movies. I will say- in my drunken, snobby state- that with Buñuel, there’s a clear meaning of the meaninglessness of things and a play on words and their being malleable and such. I don’t really get that from Lynch… but he’s much like Italian movies. I wish I understood it more than I do. Lynch’s films have meaning too. It’s just never that easy to see. ERASERHEAD strikes me as a film you’d enjoy immensely: just imagine if UN CHIEN ANDALOU was 90 minutes long… that’s basically ERASERHEAD. there’s room for slowing it down though right? some weeks i watch constantly whilst others i can only see a few. i don’t plan it, in fact i should because i hardly ever know what i feel like watching and then the horror of deciding makes me not watch anything. i totally sympathise, i want to see way too many movies. im slowly falling back in to my old ways of buying movies just because i might get around to watching them some day and they sound good. yesterdays splurge on 4 Casavetes DVD’s is a good example. i may never get around to seeing them but i know they are there if i ever need them. I think there’s room for slowing it down, but it’s an odd experience. I definitely know what you mean re: not knowing what to choose and ultimately choosing nothing. A few days ago, if not for “Get Low”, I would’ve gone without a movie. But for whatever reason, that one clicked with me when I was picking. There are lots of times where I’ll watch something just to be watching something and that’s “the bad place”. Ahaha seems like you’ve hit a movie overdose. I rarely watch more than 5 movies a week and on average, only about 3. This is also why I never do any double feature as I can’t stand watching two movies back to back in the same day. I’ve always liked to let the movies I’ve just seen simmer for a day or so. I think an on-screen double feature might be really tough. I’ve done it, but the big screen is such a different viewing experience from curling up on a couch and stuffing a movie into my DVD player. The big screen is much more intense (in a good way). I am currently picking films based (mostly) on length. Watching films under 90 minutes long is a great way to watch a lot of films quickly and also expose you to a number of different styles in a day. But that’s just me I suppose. I’d much rather watch two 90 minute films back to back than one 3 hour film. I probably watch the least amount of movies amongst movie bloggers. 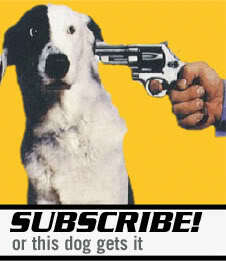 I only have time to watch on average 2 a week, sometimes even just one. I wish I could watch more which I might do in the Fall by cutting down my blogging to only 3-4 times a week instead of daily. I think I watch more movies before I started my movie blog, ahah, which is kinda ironic huh? I know exactly what you mean, Ruth. I don’t know how many times I’ve found myself thinking “My movie writing is getting in the way of my movie watching”, which is a whole other issue altogether. I kind of feel like I have the exact opposite problem. I only watch films with the “perfect” ambiance, so I usually only watch one or two films a week. I need help fixing this.